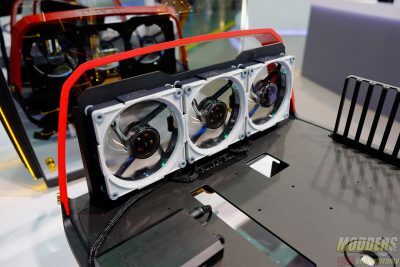 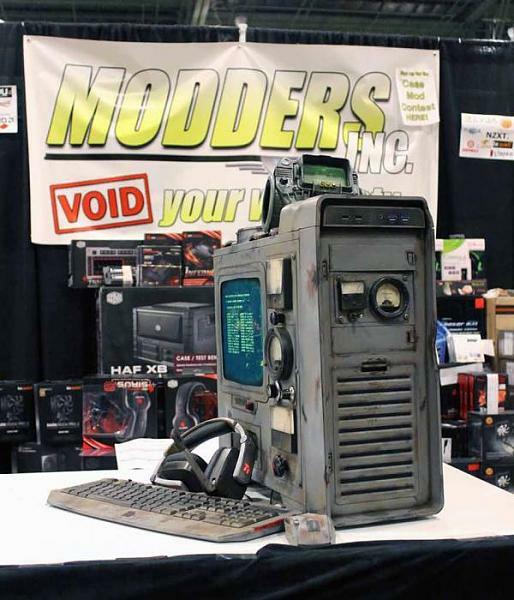 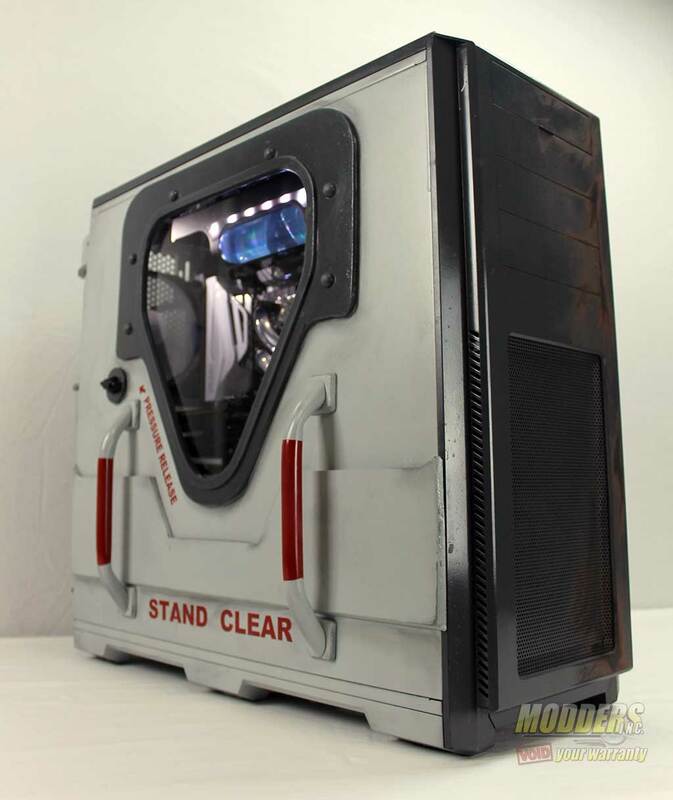 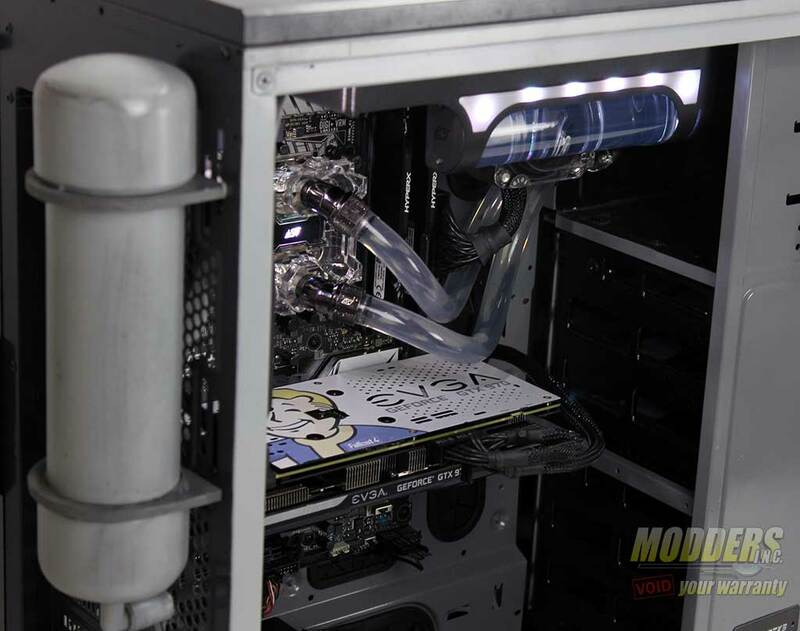 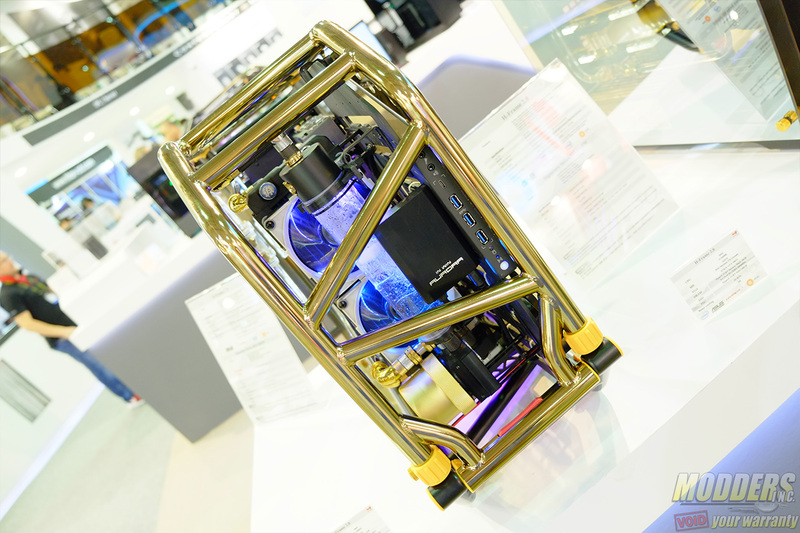 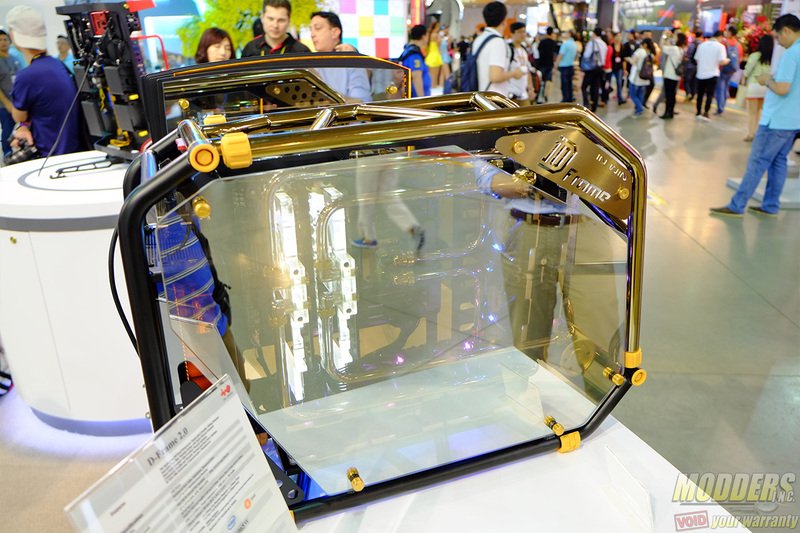 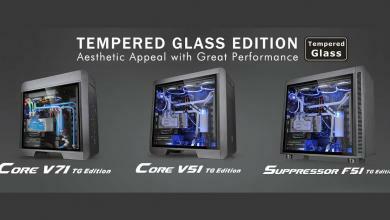 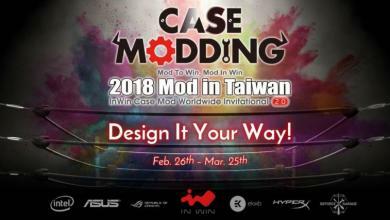 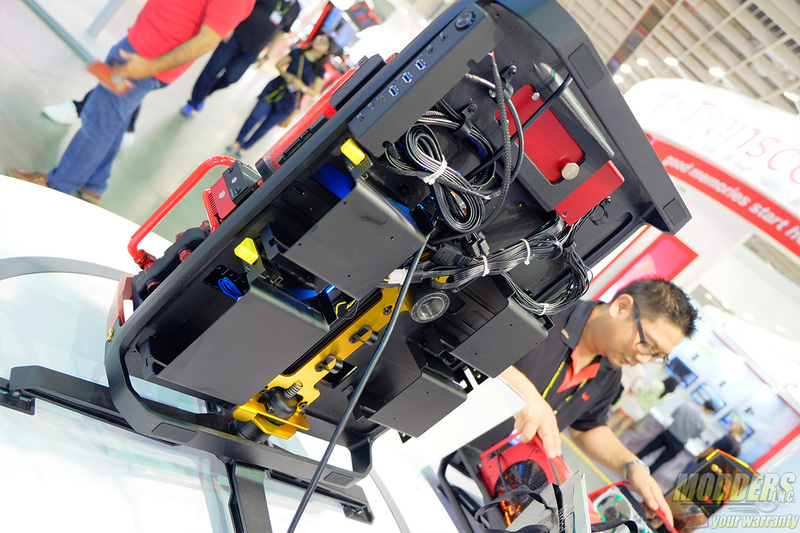 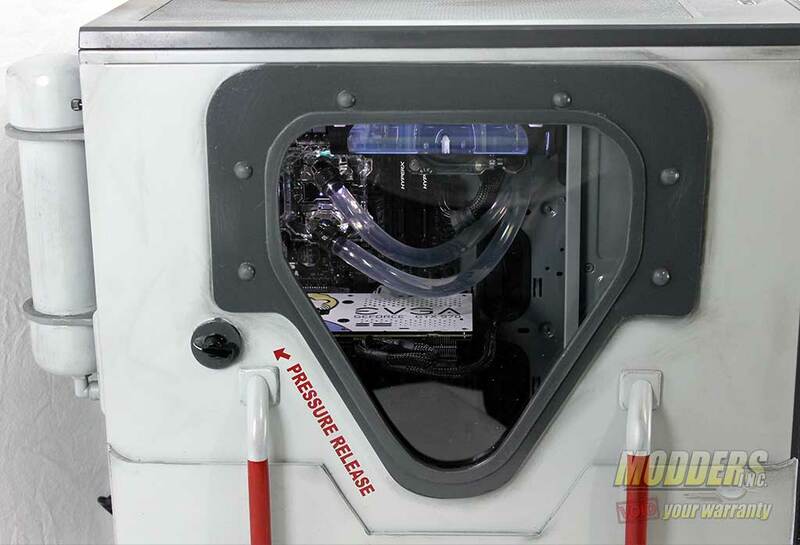 In addition to having a case modding invitational with some of the world’s top modders at Computex, In Win was also present to reveal the latest versions of their most popular case offerings featuring the usual out-of-the-box design and manufacturing that only In Win can pull off. With 2.0 versions of the D-Frame, X-Frame, and H-Frame chassis, In Win has introduced higher quality manufacturing and more innovative design implementations compared to the originals. The new D-Frame 2.0 takes inspiration from a chopper frame moreso than a dune buggy with a slightly angled back and cleaner welds than D-Frame 1.0. 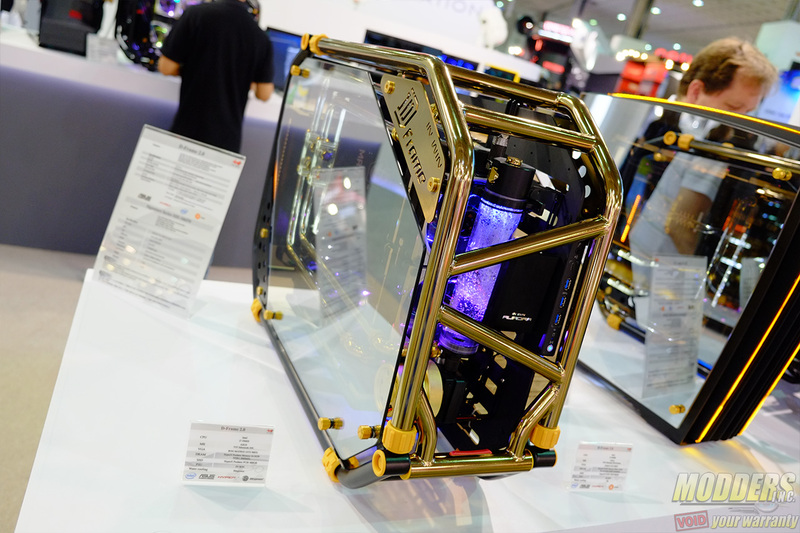 It is available in gold/black with a tempered side-panel window and yellow accents/braces. It supports the massive In Win Signature Series Power supply and is designed specifically to be compatible with it, continuing on the motorcycle inspired look with the Signature Series PSU looking like an engine block. The H-Frame 2.0 has a closer to standard ATX tower design but using a semi-open frame concept with seven stacked aluminum plates and tempered glass side-panels. 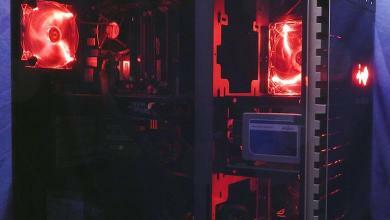 The H-Frame 2.0 also has notable lighting effects that is adjustable up to six levels. 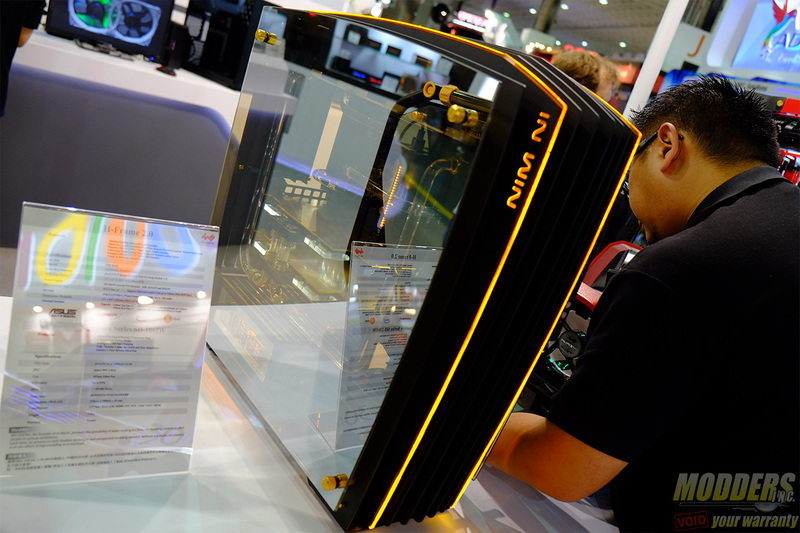 The front panel IO has a USB 3.1 Type-C and like the D-Frame 2.0, it is also compatible with the In Win Signature Series power supply. The most interesting piece of the three however is the X-Frame 2.0 which evolves significantly from its open test-bench predecessor, now having the ability to not only rotate but to tilt upward as well and act as a vertical open-air case or as a versatile test-bench in the default position. 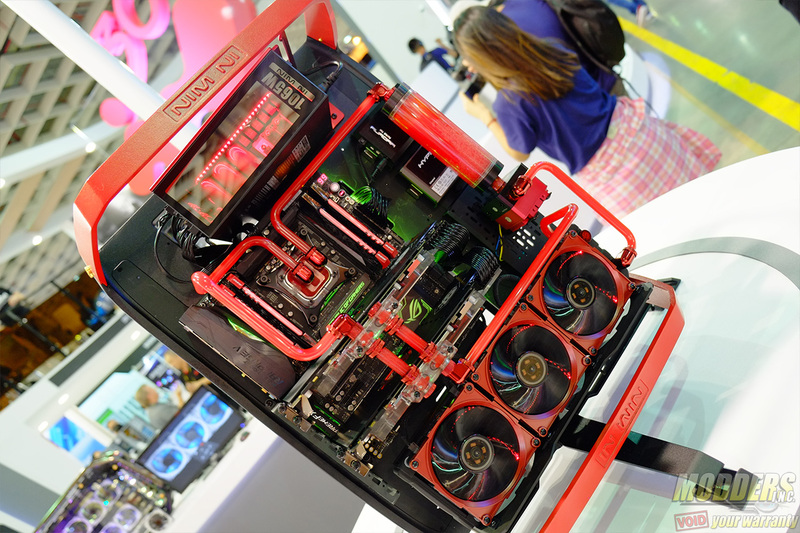 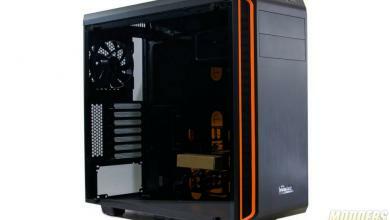 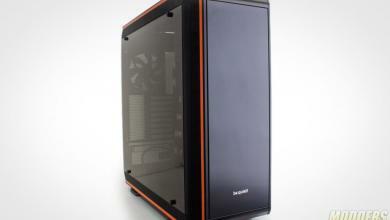 The X-Frame 2.0 supports 360mm radiators and has plenty of room for drives on both sides of the motherboard tray. 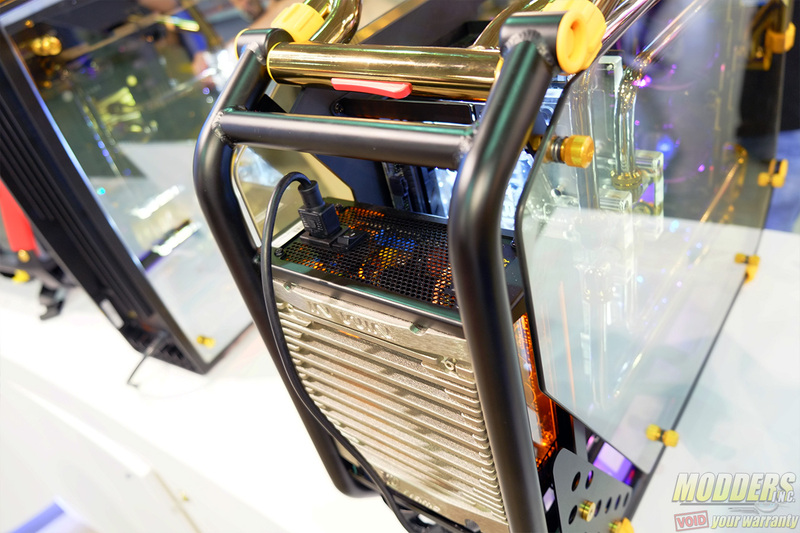 The X-Frame 2.0 also supports the large Signature Series PSU.